Annual General Meeting – 15th April 2019. Kipling has a new leader! By a unanimous vote, Jeni Longley was elected to the post of managing director, and we are lucky to have such a talented and experienced horsewoman running our group and leading us into 2019. We were privileged to be joined by Lindsay Correa (Chair – RDA South-East Region) and Miranda Purves (Regional Carriage Driving Representative – RDA South-East Region) who had driven around the M25 in rush hour to be with us! The AGM continued with all the usual stuff, such as past minutes, treasurer’s report, election of officers, DBS, and there was much lively and good natured discussion about our brighter future. More importantly, hard won trophies were presented! Jeni presents trophies to Ella, Mike and Beth. (Photos courtesy of Lindsay Correa.) The other awards (known to our committee) were not able to be presented at this time, but will follow later. After the meeting, Hanka treated everyone present to her traditional home made tomato soup, together with bread rolls, and we are grateful for her kindness. One sad note was that in spite of the hall custodian being reminded that both doors needed unlocking to facilitate wheelchair access……… they forgot. In spite of a phone call to Singapore we were unable to gain full wheelchair access and Peter had to take Linda home, via an Easter Egg shop. Everyone sends their apologies to Linda, and we must make sure that this never happens again. New Pavilion – April 2019. 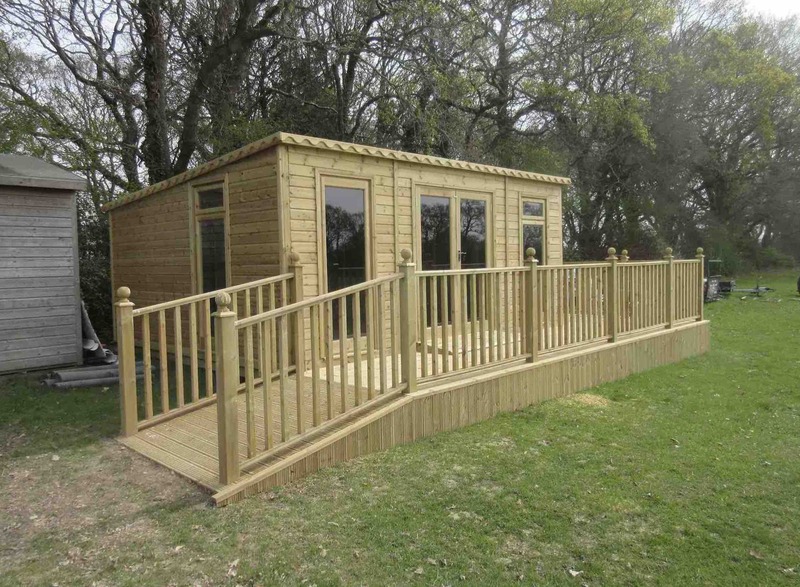 Our new pavilion has arrived, and it looks fabulous! 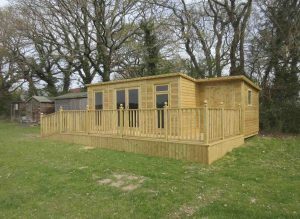 It has a large room to keep our members cosy during poor weather, a loo, a veranda, running water, and soon will have a kitchen to make the food and drinks. This amazing facility means no more shivering in woolies and anoraks, and was made possible by a grant from the Tesco “Bags of Help Scheme”, substantial anonymous donations, and money from our own account. This superb pavilion was designed and erected by Newton & Frost of Horam, and we will shortly have an opening ceremony with lots of happy members for the photo shoot! New Pavilion – February 2019. 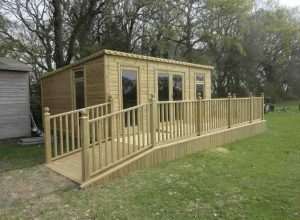 Our committee is proud to announce to all our members that following our Award from the Tesco “Bags of Help” scheme, our new pavilion and toilet suite is currently being manufactured and will be ready for installation before the start of this years driving season. Additionally, a fresh water system has already been dug and installed, well in advance of our pavilion. It looks as if we are all going to be toasty and dry this season! Annual Christmas Lunch – 10th December 2018. We held our Annual Christmas Lunch at the The Bear Hotel in Burwash and it was lovely to see everyone from our Monday & Thursday Groups mixing and talking together. The raffle was a great success and we must thank all those kind members who donated the prizes. The Cake Auction brought forward a flurry of ever increasing bids, and Peter raised a toast to “Absent Friends”, especially remembering the life of Janet Bettell-Higgins who helped create Kipling County all those years ago. Judy Barber and her husband Chris have decided to move to West Wales, and after many years as our Chairman, she decided it was the right time to step down. As a momento of her calm leadership throughout that time, the group presented Judy with a pair of very smart carriage driving gloves, a framed photo of her leading us into competition at The Oaks, and a card signed by all our members. We will miss Judy’s kindness, laughter, nursing skills, and wish her well in her new life in Ceredigion. She tells us she will be watching our future progress via this website! We have hugely indebted to Val who has worked tirelessly with a smile throughout the whole year to ensure that all our members from both the Monday & Thursday groups have been able to continue driving, and she was presented with a special gift as a way of saying “Thank You” from everyone. It is impossible to overstate her importance to Kipling County. Our friendly group goes forward with increased optimism & renewed vigour, and we wish all of our amazing Members, our AB Whips and our Helpers a very Happy New Year! South-East Indoor Comp @ Sands Farm – 25th Sept 2018. Sands Farm Indoor Competition is a qualifier for Hartpury in Gloucestershire and this year we entered four members into both the Novice Whip and Assisted Whip classes. They were Ella, Noah, Amanda & Josie representing both our Monday and Thursday groups, and everyone agreed that they had a lovely day. This year we didn’t qualify for Hartpury, but the competition had better watch out for us next year when we will definitely be aiming to qualify! 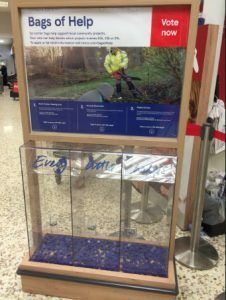 Tesco “Bags of Help” Result – 25th September 2018. 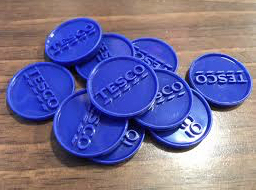 Peter, our treasurer, tells us that the results of Tesco “Bags of Help” are in, being based on the voting of the little blue discs by Tesco customers in Heathfield Express, Uckfield Express and Uckfield Superstore. Kipling County Carriage Driving won the top award!!! That means that of all the thousands of customers who popped those blue discs into their choice of boxes, they felt that we were the most deserving cause. Doesn’t that make everyone in our Monday & Thursday Groups be proud to be a member of such a great charity! This Tesco award reminds us that the £4000 award should be used towards a “Pavilion for Storage” and I know that our committee will be actioning this once all the paperwork is fully authorised and the cheque finally presented. Peter’s Golf Day – 20th September 2018. 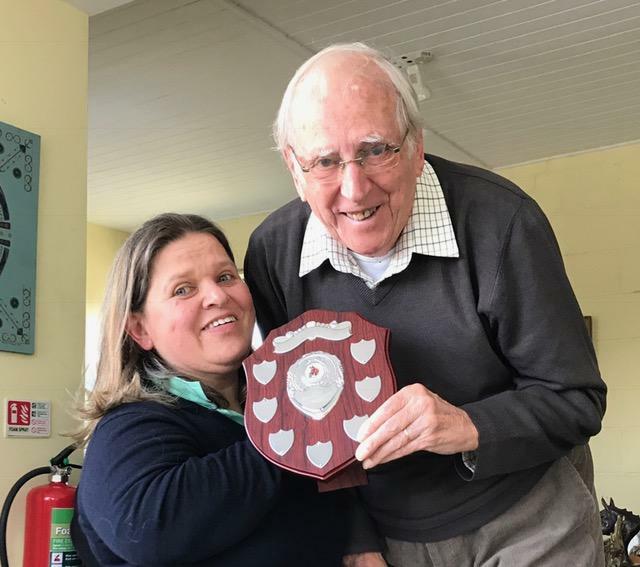 Every year, Peter (our Treasurer and a keen golfer) single handedly organises a competition at “The London Hotel, Spa and Country Club” on behalf of Kipling County Carriage Driving. These amazing sums are an incredible achievement for which our whole group is grateful! We all know how expensive it is to fund our RDA Group and Peter’s efforts will make a huge difference towards next year’s driving costs. From all at Kipling County, thank you to Peter and his friends! Sue Brown presents Peter with a cheque for £809 made out to Kipling County. Friends of Baronsmede – 20th September 2018. We are delighted that our members at Baronsmede continue to enjoy their driving at Kipling County on Thursdays. What’s even nicer is that as they get to know us better they are becoming ever more confident in their abilities, and it was lovely to see them cheering on their fellow members at Heron’s Ghyll recently. This teamwork, of course, is fostered by Zena who strongly encourages this. On 20th September, we were surprised and thrilled to receive a donation of £500 from the Friends of Baronsmede which is really kind of them. That money will help make a huge difference to Kipling County, and we are very grateful. Please see our “Kipling Gallery” page for photos. Heron’s Ghyll One Day Event – 30th August 2018. Whilst Joanne competed in the Para World Championships at Kronenberg in the Netherlands our Monday & Thursday Groups joined together to compete in the Heron’s Ghyll superbly organised One Day Event. Our drivers basked in sunshine all day and everyone owe’s Heron’s Ghyll a debt of gratitude for setting up the field during the previous day’s torrential rain! Sally came 1st overall in Open Class. Beth came 2nd overall in Open Class. Josie came 3rd overall in Intermediate Class. Garry came 2nd overall in Intermediate Class. Graeme came 4th overall in Novice Class. Sally was awarded Overall Champion of the day, and was presented with a trophy. Beth was awarded Reserve Overall Champion of the day, and was presented with a cup. This is the board showing everyone’s full results. Para World Championships – 28th August 2018. Our whole group wished Joanne McNicol the very best of good fortune (driving Texas with Andrea backstepping) in her first International Event at Kronenburg in the Netherlands and she did her family, Kipling County, and Great Britain proud, coming 5th (out of 9 of the best competitors from around the world). These are the Dressage results. These are the Marathon results. These are the Dressage & Marathon combined results. These are the Cones results. These are the overall Final Results. The Oaks Driving Club Show. 12th August 2018. Our drivers were amazing at The Oaks Driving Club Show held at Broad Farm, Hellingly. The event started perfectly on a lovely Summer day until lunch time when a few drops of rain fell, but nothing stopped our drivers who drove in the RDA Non Assisted, RDA Assisted, and Beginners & Novice events. Tim B – Came 3rd. This is a fantastic result for Tim who has never competed before! Here, our drivers were competing on equal terms against Able Bodied Drivers! Susie – Came 3rd. This is a fantastic result for Susie who has never competed before! Joint Open Day – 4th August 2018. Our Open Day was a fantastic success, and a huge number of people joined our Monday & Thursday groups under a bright blue sky, whilst Alan & Prince did us proud. In the marquee we were tempted by tea, coffee, sandwiches, and cakes, and a huge vote of thanks is due to so many people who worked so hard to make this happy event such a success. We were joined by a special guest! Ben Chambers is a young lad who chose to sponsor Kipling County RDA Carriage Driving Group for a school project, which entailed creating a presentation all about us (starring Jay) and presenting it to his teacher and class. Then, having been short listed, Ben presented it again to his school’s Board of Governors & the rest of the staff. Everyone was delighted to hear that his presentation was so good that he came second and that the prize of £880 is to be donated to our charity. This is a superb achievement for Ben and we are all very proud of him. To demonstrate our gratitude he drove our pony and carriage around our obstacle courses……once he was kitted out with appropriate safety equipment! Linda: 1 cone down; 1 second penalty; came 1st. Ashley: 0 cones down; 2 seconds penalty; came 2nd. Tim B: 2 cones down; 5 seconds penalty; came 3rd. Noah: 0 cones down; 7 seconds penalty; came 4th. Gay: 0 cones down; 0 seconds penalty; came 1st. Graeme: 0 cones down; 3 seconds penalty; came 2nd. Jay: 2 cones down; 4 seconds penalty; came 3rd. Josie: 0 cones down; 7 seconds penalty; came 4th. Ella: 0 cones down; 0 seconds penalty; came 1st. Amanda: 0 cones down; 3 seconds penalty; came 2nd. Beth: 0 cones down; 4 seconds penalty; came 3rd. Para World Championships (Selection) – 14-15th July 2018. 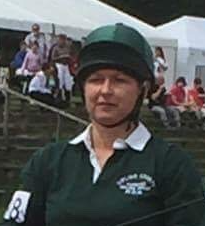 We are absolutely delighted to announce that our Joanne McNicol competed at Blandings this weekend (driving Texas and with Andrea back stepping) and based on her driving throughout the rigorous selection process she has been chosen for the Individual Para World Championships on behalf of Great Britain. This is a simply brilliant achievement for Jo who is one of the most modest ladies you could wish to meet, and we are all delighted for her. Para World Championships (Selection) – 15-17th June 2018. Our very own Joanne McNicol entered the Open National Driving Para Championships selection, held at The David Broome Event Centre, Cricklands near Newport in South Wales. She drove Texas in the Renee Schoop with Andrea Scott back-stepping. After some great driving in Dressage, Marathon and Cones, she came a fantastic 4th overall. Kipling County can be proud of Jo as her skills are becoming better noticed at the highest levels, and we all wish her the best of good luck for more great driving at Sandringham, and then again at Blandings 14th-15th July 2018 when the British Team will be announced. SE Indoor Competition @ Bradbourne. 10th June 2018. Our Monday and Thursday members can be very proud of their achievements at the South-East Indoor Competition at Bradbourne near Sevenoaks. Two of our members entered and after a superb day’s driving they came home with the top two rosettes. Very well done to both our driving groups! Thursday Group Cones Competition. 5th June 2018. Joint 2nd – Amanda & Gary. Joint 6th – Ashley & Suzie. 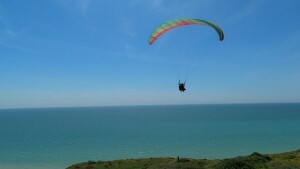 Please see our “Kipling Gallery” page for the photos. Kipling County – 100 Club. We are pleased to advise that our 100 Club is now registered with Wealden DC. RDA Spring Newsletter. March 2018. This is the Spring Carriage Driving Newsletter sent by RDA’s Sarah Hadley, who asks if it could be circulated within Kipling County. Passing of Janet Bettell-Higgins. Monday 22nd January 2018. It is with much sadness that we have to inform you all that this morning, Janet Bettell-Higgins passed away in her hospice at St Leonards. As a founder member of Kipling County she was held in the highest regard, a lady who devoted her life to ponies, RDA, and encouraging those with physical disabilities to achieve and exceed their expectations in carriage driving. She was a kind lady, who is now re-united with her late husband Larry, and our thoughts are with her sons Darren & Stephen and their respective families. Janet’s funeral was held at St Bartholomew’s Parish Church, Burwash on 19th February, and was followed by a private cremation service for family members only. 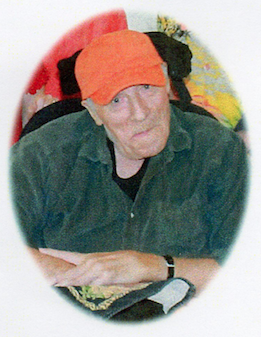 Kipling County is saddened by the passing of Geoffrey Roberts, a long standing member of our group. Geoffrey thoroughly enjoyed his mornings driving at Chalvington and they brought him a huge amount of pleasure. Geoffrey had been an architect and keen sportsman throughout his life, and he will be missed by us all. His service was held at All Saints Parish Church, Old Heathfield, on Friday 19th January 2018. Our Christmas lunch held on Monday 11th December was a great success, and the food and drink were superb. Many thanks are due to Judy who arranged the event for everyone, and to The Bear Inn who looked after us so well. It was a shame that we had overnight snow as it meant that in order to look after their safety and wellbeing, Sine’s (Zena) group had to cancel her members’ minibus, although Francis attended as he lives much nearer. As a memorial to our late friend Keith Farley, our group named a carriage in his honour, and his widow Wendy Farley was presented with a framed certificate illustrating the carriage and plaque. There were a huge number of raffle prizes that had been kindly donated, and they were drawn and presented. One of our founder members, Janet-Bettell-Higgins was unable to attend being poorly, and a special photograph of everybody present was taken to be given to Janet in her hospice to show that we are all thinking of her. Please see our “Kipling Gallery” page for the photos taken by Chris Barber. Kipling County Fun Quiz Night. Saturday 18th November. Our Kipling County Fun Quiz Night held at Broad Oak village hall was a fantastic success. The sausage platt supper was agreed by all to be absolutely brilliant, and the amazing choice of puddings were lovely. The quiz master and his team pitched the pace of the questions perfectly, and everyone went home having learned something new. Annette must be congratulated on the sheer energy she put into making the evening the triumph it was, and it is very sad to know that she will be taking a break from organising future events. The whole Group owes Annette a massive debt of gratitude for everything she has done in the past, and hers will be a hard act to follow going forward. She assures us that she will continue supporting our members with their driving in the field at Chalvington and Stonegate. Our Treasurer is pleased to report that the whole evening, including quiz, raffle, bar and sale of calendars made £468 net profit, after all the costs had been removed. Chalvington Fun Cones Trial. 9th October 2017. Joint 1st – Ella, which is wonderful as it was her first meeting with Kipling County! Joint 4th – Sue C.
Joint 5th – Sue OD. Kipling County Tack Sale – 7th October 2017. 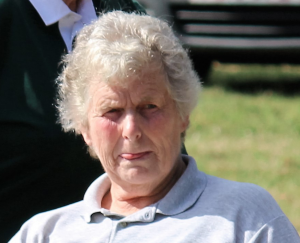 We are grateful to Val for all her hard work running the tack sale, to Annette for organising the hall on our behalf, to Hanka for producing the programme, and to all the many helpers that volunteered on the day. Val tells us that +/-£267 was taken on the day (before hall costs), +/-£500 for items sold earlier in the year, and that additional money will be forthcoming for other items to be sold shortly. South-East Competition @ Sands Farm. 26th Sept 2017. Assisted Class – Josie came 1st in dressage, 2nd in cones, 1st in obstacles, and 1st overall. Josie came home loaded with roselletes and a huge smile. Novice Class – Gay came 8th in dressage, and 11th overall. A really great result. Open Class – Sally came 1st in dressage, 1st in cones, 1st in obstacles, and 1st overall, beating Tracy by 1 point! Sally can be proud of her rosettes, qualifying for Hartpury. Very well done to our drivers, and many thanks to all our companion whips and helpers. Please see our “Kipling Gallery” page for the photos taken by Mike Cyster. Peter’s Golf Day – Thursday 21st September 2017. This event was organised by our Treasurer, Peter. He tells our committee that the golfers at his club raised an astonishing £1102 for our charity. This amazing sum is an incredible achievement for which we are all grateful, and will make a huge difference towards next year’s driving costs. From all at Kipling County, thank you to Peter and his golfing friends! Heron’s Ghyll One Day Event – 7th September 2017. Open Non Assisted – Beth drove Prince to 5th place after a little glitch in the Obstacles. Open Non assisted – Sally drove Alan to 2nd place – Lovely to have Sally back again. Intermediate – Josie drove Prince to 3rd place, with a huge smile as always. Novice – Linda drove Alan to 2nd place. Linda wants to win a cup next time! We don’t know how they manage it, but The Oaks RDA organised another day with a bright blue sky and barely a cloud in sight for their 40th Annual Funday! A particularly attractive part of the day are the magnificent (and expensive) turnouts in the earlier Country & Private Driving class, where driver’s and groom’s outfits complement the carriage. We all had a great day out and achieved some superb results. Non Assisted Class – Josie drove Allan brilliantly to 1st place. Non Assisted Class – Amanda drove Dennis to an excellent 3rd place. Open Class – Our very own Janet, drove a magnificently turned out Crumble to 4th place. Exercise Vehicle 13hands+ – Janet drove Crumble to 3rd place with Debbie back stepping. Assisted Class – Linda drove Alan to a well deserved 2nd place. Assisted Class – Susie drove Dennis to a great 6th place. Veteran/Senior – Janet drove Crumble with Judy back stepping. We are told the ages of the drivers, ponies and grooms are added up to help decide the winner. Due to their youth, we came a credible 5th. It was possibly our wettest day in the field this year, the unrelenting rain ponded everywhere around us, and hardly a driver or helper wasn’t soaked to the skin. The “BDS Le Trec” was new and exciting for some members, and in spite the weather the photos on our Gallery page showed that we had a great day. We owe a debt of gratitude to Zena who brought her carriage drivers from Crowborough on her day off, bravely stood helping us throughout the day in the rain, and of course to Alan & Smokey who ran all day with just enough rests. Metcalfe Trophy for best turnout: Amanda was the overall winner !!! Open: Beth came 3rd, only two points behind the winner. Novice: Amanda came 2nd, only 1 point behind the winner. Novice: Josie came 4th, only 4 points behind the winner. Novice: Susie came runner up, and only 9 points behind the winner. Cones: Josie came 1st, and with 0 penalties! Cones: Beth came 6th, with only 3 penalties. Cones; Russell came 10th, and with 0 penalties! Cones: Amanda came 14th, and with 0 penalties! Musical Evening with Leo Andrew. 6th August 2017. Our Musical Evening, starring Leo Andrew, was a huge success. Leo works six days a week in theatre, and generously gave his single night off to help Kipling County which was incredibly kind of him. Taking into account the tickets, bar and raffle, and removing expenses, we achieved an amazing £1,350 profit. Our thanks are also due to Annette who prepared all the food single handed, Val who produced the event, Chris & Nick for managing the bar, our pianist who included a solo waltz, Peter our compère, and all the other helpers too numerous to mention for setting up and putting away the tables, etc. Loss of Nina Yarnton. 1st August 2017. We have just heard the sad news that our good friend, Nina Yarnton, passed away last night after a long illness. Nina & Robin were staunch supporters of Kipling County for over five years until she became unable to drive due to ill health. We will all miss the smile she shared with everyone. Our thoughts and condolences are with Robin and her family. Nina died peacefully on Monday 31 July. Her coffin will come into church on Thursday 17 August at 5pm. Her funeral will be on Friday 18 August with Requiem Mass and Celebration of Nina’s Life at 11am at St Peter’s, followed by burial at Seaford Cemetery, with refreshments in the hall at Old Ben Homes which is opposite No 79 Sherwood Road. All are most welcome, and Robin asks you to dress casually and be happy. The postcodes for SatNav: St Peter’s Church (Belgrave Road) BN25 2HE, Cemetery (Alfriston Road) BN25 3JH, Old Bens Homes hall (Adjacent warden’s house at entrance to Valley Rise and opposite 79 Sherwood Road) BN25 3ED. PS Just before she became unable to speak, Nina asked me for “a wicker coffin interwoven with flowers” and she will have it, so I have decided to request donations in lieu of other flowers – to the charity that made possible the three wonderfully happy respite breaks we had at Netley by the edge of Southampton Water – including just three days of the break cut short by her final illness. That is ‘Revitalise Respite holidays’. You can Google their website, or Seaford and Newhaven Funeral Service on 01323-888661 can give you details. RDA Felbridge, East Grinstead. 25th July 2017. On Monday after an initial light drizzle we practised for Felbridge, and then the members who stayed on spent much time cleaning the carriages and harnesses ready for our drivers at Tuesday’s RDA Felbridge competition. 1) Dressage – Beth driving Alan, with Val as companion whip, came runner up. 2) Condition & Turnout – We were delighted when Timmy came 1st, driving Smokey with Sheila as companion whip. 3) Assisted Whip – Linda driving Alan, with Val as companion whip, came runner up. 4) Novice Whip – Josie driving Alan, with Val as companion whip, came runner up. 5) Novice Whip – Gay driving Dennis, with Jo as companion whip, came 3rd. 6) Novice Whip – Amanda driving Smokey, with Sheila as companion whip, came runner up. 7) Cones – Beth driving Alan, with Val as companion whip, came 2nd. 8) Cones – Josie driving Alan, with Val as companion whip, came runner up. 9) Cones – Gay driving Dennis, with Jo as companion whip, came 4th. 10) Cones – Amanda driving Smokey, with Sheila as companion whip, came runner up. 11) Cones – Linda driving Alan, with Val as companion whip, came runner up. We are extremely grateful to Janet, Val & Sheila who drove the lorries, horseboxes, or towed trailors, and proud of our ponies who worked so hard throughout the day. RDA Hartbury, Gloucestershire. 14th July 2017. It’s a huge achievement to qualify for Hartbury, and Jo and Sally can be proud of themselves for managing it. Sadly, Sally was unable to attend this year for health reasons, and our best wishes go to her for a complete recovery. On Thursday 13th July our group travelled west to The Cotswolds. It was a long, tiring journey caused by traffic congestion on the M25, M4, A419 and A417. We arrived at 5.00pm, settled Dennis comfortably in his stable, and visited the nearby pub to unwind. After an excellent dinner we made our way to the B&B, where we found a slight problem as only two rooms had been booked! Guess who had to sleep in the lorry? Kind members awoke poor Val the following morning with a nice cup of tea. On Friday 14th we checked on Dennis bright and early to find that the stable staff had done a great job and he was raring to go. The dressage was a little earlier than described, but our group rose to the occasion. Jo took the reins driving Dennis, with Val acting as companion whip. Jo drove clear through the cones, was brilliant on the obstacles, and managed a good effort in the dressage, coming overall first in “Open Class”. Even better, Jo won “Champion Overall” which is a magnificent achievement for both her and Kipling County. The journey home wasn’t quite as problematic as the drive out, but with Jo’s great result, everyone was happy. Please see our “Kipling Gallery” page for a photo of Jo in action. RDA SE Region Magazine “Review of 2016”. June 2017. Photo courtesy of RDA South East Region Magazine. The Oaks “Inside Out Competition”. 20th May 2017. These are the results of The Oaks “Inside Out Competition held at Burchetts Farm, Whitesmith. The event took place on a lovely warm Spring day under a bright blue sky, and members entered the RDA, Novice and Intermediate events. For all the RDA Results, Val acted as companion whip in our new Fenix Freedom carriage, with Alan in harness working hard throughout the whole event. For the Novice group Debbie drove ‘Pickles’ in her own carriage and in the Intermediate group Janet drove ‘Crumble’ in her own carriage. 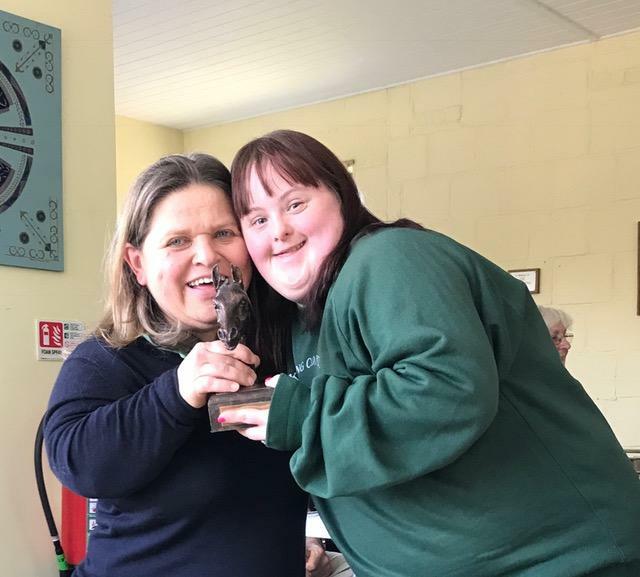 1) RDA morning – Josie came 1st. 2) RDA morning – Linda came 4th. 3) Novice morning – Debbie came 5th. 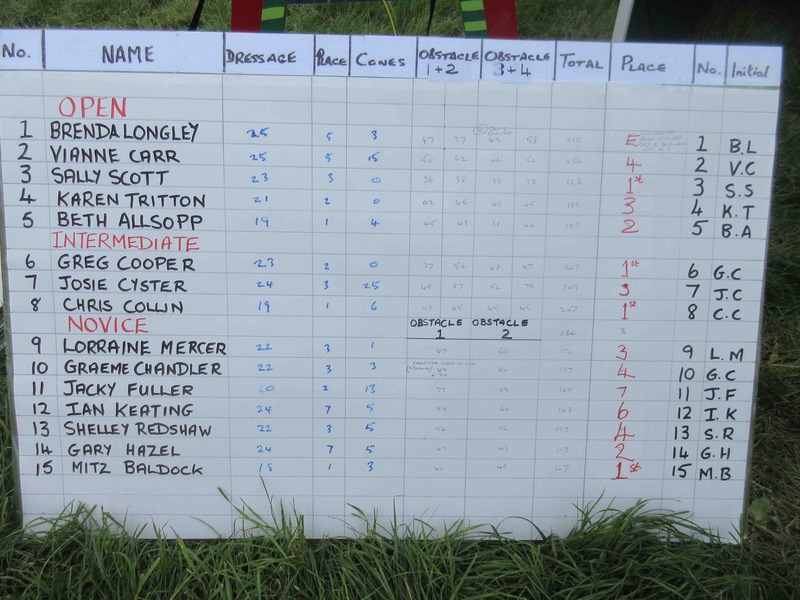 4) Intermediate morning – Janet came 1st. After our lunch we moved onto the obstacles, consisting of two sections. The first consisted of blue barrels and the second being the brand new brightly coloured gates. The results of these two sections were added to the morning’s session to provide a final result. 5) RDA overall – Linda came 2nd. 6) RDA overall – Josie came 3rd. 7) Novice overall – Debbie came 4th. 8) Intermediate overall – Janet came 2nd. 9) Best Dressage – Janet, and very well deserved! To comply with the Data Protection Act we are required to remove images at agreed intervals. Copies may still be requested by asking a Committee member. Loss of Carol Lamble. 30th April 2017. We have just heard the sad news that our good friend and companion whip, Carol Lamble, passed away last night after a very short illness. Our thoughts and condolences are with her family and we will post details of her funeral when available. Kipling County 100 Club. 3rd April 2017. Our new season of Carriage Driving has started again, and Annette is keen to remind us all that our 100 Club is now open for this year’s participants. This year she would very much like to increase numbers up to a full 100 members – So let’s all help her achieve this! You will remember that our 100 Club is a fund raising scheme in which tickets cost only £10 each per year, and where 50% of the accumulated funds are paid as prizes with the balance all goes to our Kipling County RDA. RDA Lunch at Tenterden. Monday 13th March 2017. The London Beach Hotel & Spa, High Halden, St Michaels, Tenterden, TN30 6SP. The sun shone brightly, and The London Beach Hotel & Spa at Tenterden was a lovely venue to share a friendly lunch chatting together. Our thanks go to Peter, our Treasurer, for arranging the day. You will remember that the Hotel has a Trust Fund that refunds the lunch menu price as a donation to our RDA Charity, and we were delighted when Sue Brown (the Hotel Reception & Functions Manager) presented a cheque for £194.25p to our Kipling County Driving Group charity. Sue Brown presents the cheque to Peter, on behalf of Kipling County, together with a few members who were brave enough to stand beside them. A letter from Francis Doddington. 20th December 2016. “Vicky has been very ill for some time now having spent from 19th August to the 31st October 2016, with half the time in the Conquest hospital and the other half in Eastbourne. Vicky is at home now but still in bed, and only just starting to be hoisted into a wheel chair. We were sorry not to be able to attend the Christmas dinner, and would like to take this chance to say a big thank you to everyone at Kipling for all the help and kindness show over a large number of years. Thanks also for all the hard work put into helping people like Vicky, enabling them to take part in this wonderful sport and pastime. We will try to stay in touch and hope to be able to meet with you again some time soon. May we wish the group every success in the future. Lots of love from Vicky and Francis. Annual Christmas Dinner. Monday 5th December 2016. This year we returned to The Bear at Burwash for our Annual Christmas Dinner, where there was happiness tinged with sadness. A toast was held in memory of Mary Harris who passed away in October, and two new donations were presented. The first was from Timmy Brown in memory of his late Dad, and the second was in memory of Keith Farley who passed away in August. Throughout the year, Thursday’s “Acorns” has grown steadily, and to mark their success Janet Bettel-Higgins presented Award Certificates to the members for having driven so well. We know how much they love being members of our Group and we look forward to seeing them enjoy themselves again next year. Jan McSweeney has finally decided to hang up her car keys and so our Committee wanted to honour her in a fitting way. They have decided to name our brand new Fenix Freedom the “Jan McSweeney Carriage” and Judy presented Jan with a framed souvenir illustrating that unanimous decision. Jan tells us that although she has decided to stop driving her car, she will still be remain a member and attend meetings as often as possible. Peter managed the raffle with his usual aplomb, the food and drink was excellent, and we all went home full of turkey and plum pudding ! Kipling County Christmas Fair. Saturday 19th Nov 2016. Our treasurer has emailed our committee, telling us that the Annual Christmas Fair at Broadoak Village Hall was a great success. We made an impressive £576 profit, although the costs of the hall and catering have yet to be deducted. In addition, Val & Debbie took the unsold tack from our auction (held on 29th October) to another tack sale at Merrist Wood and made a further £145.50 which is impressive. After the Fair, Hanka drove the remaining cakes, etc around to Jan who was delighted to receive them and donated an additional £20. Our grateful thanks are due to all of our members who put in so much effort to make the event both fun and a success. In addition, thanks are due to our committee who work so hard on our behalf all year round, generally behind the scenes. It is a tribute to their efforts that our Group remains so friendly. The auction was a successful and fun event, with some great bargains, a little light-hearted leg pulling, and our Treasurer is delighted to announce that Kipling achieved approximately £900 net after all our costs were paid out. 1) Val for collating and numbering everything donated throughout the year, boxing the items into numbered groups, and then running the auction. 2) Annette for producing all the food and managing her team in the kitchen whilst the event took place. We have just heard the sad news that Mary Harris quietly passed away in her hospice on Monday 10th October. Our thoughts and condolences are with Martin and his family. If you are not already aware, sadly Mary passed away on Monday the 10th of October. There will not be a funeral because Mary had made the decision some time ago to donate her body for medical research to London’s Anatomy Office. It goes without saying, we would be extremely grateful for any donations received. Viewing starts at 6.30pm (not any earlier please) and sale starts at 7.00pm prompt. Refreshments may be purchased on the night. Sands Farm Indoor Trial & Qualifier. 27th September 2016. Stephen, Linda, Sally & Jo entered the indoor competition at Sands Farm, Warnham in West Sussex. This event simultaneously included a qualifier for the National Championships at Hartbury, Gloucestershire in 2017. Whilst there was some light drizzle, we remained cosy and dry inside the huge internal arena, and there were many nail biting moments for everyone to enjoy. Although the Dressage followed a standard formula, this year the organisers combined Cones and Obstacles into a single layout of three intermixed units, and it’s fair to say that there was much head-scratching amongst the various teams regarding the complexity of this layout. This was also the first competition driving our brand new Fenix Freedom, and it was lovely to see our wheelchair members enjoying really great all round visibility. 1) Novice Whip: Stephen lead our team off, driving Prince in our brand new Fenix Freedom beside Val. He had no time to practise with this new 1400mm wide carriage and although he didn’t place he drove really well. A great effort! 2) Novice Whip: Linda drove Alan in the new Fenix Freedom beside Andrea, and came 9th in dressage, 10th in cones and 5th in obstacles, coming 5th overall. 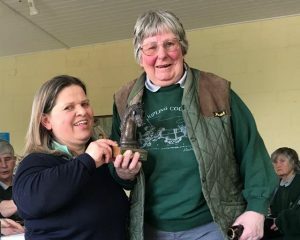 3) Intermediate Whip: Sally drove Alan in the Hartland Top Sport with Andrea back-stepping, and came a fantastic 1st in dressage, 1st in cones and 1st in obstacles, coming 1st overall. This qualified Sally for the National Championships at Hartpury, Gloucestershire in 2017. 4) Open Whip: Jo drove Prince in the Hartland Top Sport with Debbie back-stepping, and came a fantastic 1st in dressage, 1st in cones and 1st in obstacles, coming 1st overall. This qualified Jo for the National Championships at Hartpury, Gloucestershire in 2017. RDA Coach, Pony & Carriage approval – 26th Sept 2016. Debbie, Jo and Sheila for their successful testing on harness, safety and driving skills. Also this day, Texas and Robbie were fully approved as RDA ponies. Finally, our brand new Fenix Freedom was signed off as an RDA carriage when coupled with appropriate ponies. Quiz Night & Open Day – 3rd September 2016. The Quiz Night at Broad Oak Village Hall was a huge success with the questions often being themed around the Royal Family and their animals in honour of Her Majesties 90th birthday. So many members and helpers contributed to make the evening such a success, but particular thanks must go to Annette for all her work in preparing and transporting all the food. The rain couldn’t stop the enjoyment of our Kipling County 20th Anniversary Open Day at Chalvington! Our thanks are due to so many members and helpers who worked so hard to make the day such a success. We were delighted that so many members from our Thursday “Acorns” Group joined us for a shared day together. 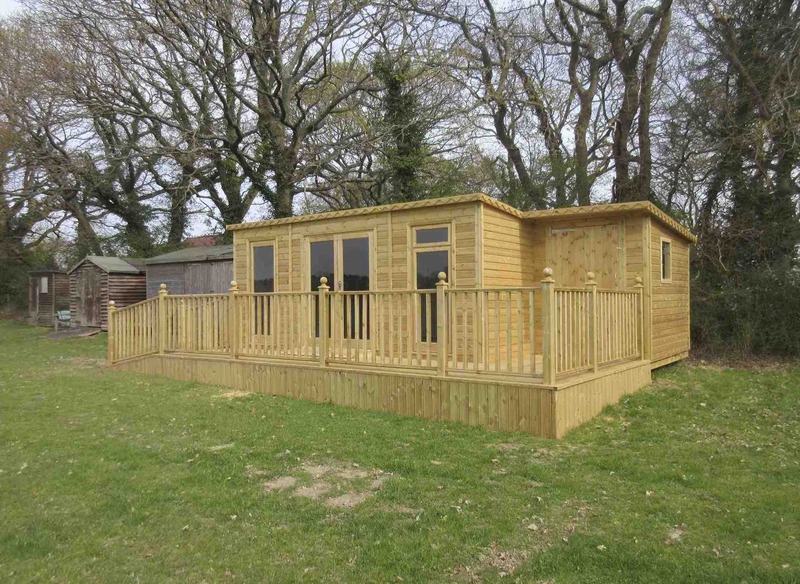 Our Treasurer is delighted to tell us that the net total profit was £674 which will go towards our new carriage. Heron’s Ghyll “One Day Event” – 1st September 2016. We had another lovely day with this friendly competition at Whitesmith, and everyone agreed it was a relaxed and enjoyable day. We were delighted that Janet was able to join us after her recent operation. 1) Sally came 1st in Open Class and also won the overall championship of the day. 2) Jay came 7th in Open Class. 3) Joanne came 3rd in Open Class and 3rd in Dressage. 4) Beth came 8th in Open Class. 5) Linda came 3rd in Novice class. Many thanks to our secretary who took a better record of the results than me! Date of Keith Farley’s Funeral is Confirmed – August 2016. Kipling County Driving Group will have read of the sad loss of our friend, Keith Farley. Our Secretary is now able to confirm the date of Keith’s funeral. It will be held at Kent and Sussex Crematorium (Tunbridge Wells) on Tuesday 6th September at 12.15pm and Wendy would be pleased to be supported by as many of Keith’s friends as possible. Afterwards there will be a short reception for coffee at the Spread Eagle PH (relatively close by). Kent and Sussex Crematorium, Benhall Mill Road, Royal Tunbridge Wells, TN2 5JJ. The Spread Eagle PH., 119 Forest Road, Tunbridge Wells, TN2 5BE. The Oaks 39th Annual Show & Funday – 14th August 2016. The most important principle of the show was about having fun. With good company from around the region, some lovely ponies and carriages, all turned out so beautifully under a blazing sun, it’s not a surprise that everyone had a grand time. C) Beth drove Prince in Class 4 “Disabled whip (Non Assisted)”, with Allison as companion in the Jackson Darrant, and came 2nd. D) Jay drove Alan in Class 4 “Disabled whip (Non Assisted)”, with Debbie as companion in the Renee Schoop, and came 3rd. E) Josie drove Alan in Class 8 “Disabled Whip (Assisted)”, with Val as companion in the Renee Schoop, and came 3rd. Well done to all our Kipling drivers, companions and volunteers who contributed so much to make it a lovely day. Sad News – Loss of a Friend – 5th August 2016. Yesterday we heard the sad news that Keith Farley had quietly passed away in hospital on Friday night. Our thoughts and condolences are with Wendy and Keith’s family. Keith had courageously continued to support us, even though his failing health forced him to retire from carriage driving a few years ago. Having been an enthusiastic and skilled member of both Heron’s Ghyll, and Kipling County RDA Group, he continued to support Kipling whenever he could and helped us with fundraising events, notably, taking a stand at High Hurstwood Christmas Fair, and making a very generous donation after a long and tiring day. At the time of writing, we have no information regarding funeral arrangements, but will post the details here as they become available. Wendy would be delighted to see Keith’s friends from Kipling if you would like to attend. 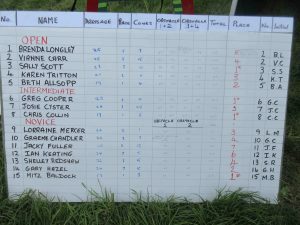 RDA Southern Region Driving Show – Results – July 2016. What wonderful weather we had at Felbridge Showground on 26th July, with a bright blue sky and a slight breeze to keep us cool! The preparation area was packed with a huge number of entrants vehicles, where due to space restrictions we found our vehicles, ponies, carriages, harnesses, and ancillary bits were all split across the full length of the car park. This made event administration difficult for our members, particularly as we only had two companion whips available on the day. A) Vicky drove Charlie the shire horse, with Allison as companion in the Hartland Freeway, coming 3rd in Assisted Class. B) Linda drove Smokey, with Val as companion in the Fenix, coming 1st in Assisted Class. C) Josie drove Alan, with Allison as companion in the Renee Schloop, coming 6th in Novice Class. D) Beth drove Prince, with Val as companion in the Jackson Darrant, coming 4th in Open Cones. E) Gay drove Smokey, with Allison as companion in the Fenix, coming 4th in Open Class. F) Joanne drove Prince, with Val as companion in the Jackson Darrant, coming 2nd in Open Class. G) Beth drove Prince, with Val as companion in the Jackson Darrant, coming 2nd in Dressage Competition. RDA National Championships – Results – 15th July 2016. We were lucky enough to have two members who qualified for the RDA National Championships at Hartpury College in Gloucestershire. Lee drove Dennis in the Intermediate Dressage Event, and the two of them went like a racehorse. We are delighted to report that Lee finished in a fantastic 4th place. Jo drove Dennis in the Open Event, and we are proud to report that Jo finished in Equal 1st place. Because of the rules of the day it wasn’t possible for two people to tie, and as her time was only 3 seconds longer she was announced coming 2nd. This is a superb achievement and Jo can be very proud of herself. We are absolutely delighted that both Lee and Jo represented Kipling Driving Group and proud that they did so well. Very well done to both of them !!!! Musical Evening at Broadoak Village Hall – 26th June 2016. The Musical Evening held at Broadoak Village Hall was a huge success! After an excellent meal and a drop of wine, the programme commenced with the Waldron Parish Peelers, six ladies who play a wide variety of music on handbells. Bell ringing is unique to our country, and we can be proud that this group continue the tradition. The programme continued with the superb voice of Leo Andrews, a well known performer in the musical world who is currently playing in “Groundhog Day” at the Old Vic. We were extremely fortunate that Leo was able to support our event and his theme of music from the shows was perfect. Leo was brilliantly accompanied on the piano by Benjy Tyler, Musical Director at Newick. All performers provided their services free of charge, for which we are extremely grateful. We are also indebted to Annette who worked so hard in the kitchen, ably assisted by many other members. Our treasurer is pleased to report that the event raised £1125 (after all costs were deducted) which is a superb achievement! Monday & Thursday Meetings – May 2016 Onwards. You may be aware that unfortunately Janet Bettell-Higgins is injured and is currently incapacitated. Our best wishes do of course go to Janet and we hope that she makes a speedy and successful recovery. Monday meetings: Monday meetings are planned to continue, but possibly with fewer ponies. This will commence Monday 16th May and will continue until Janet is well again. Thursday meetings: The start of Thursday “Acorn” meetings will be delayed until Thursday 9th June. Our Committee tells us that in order to remain insured by “The Riding for Disabled Association” we have a new directive update regarding riding helmets that we must all comply with. From 1st January 2017 (date extended by RDA) riding hats made solely to (British Standard) EN1384 will not be permitted for use in RDA Groups. This keeps all Groups in line with The British Equestrian Federation, British Horse Society, British Eventing, British Show Jumping, Pony Club and British Dressage. (1) Riding Hats manufactured to PAS015 (1998 or 2011). (2) Riding Hats manufactured to (BS) EN1384 that are also manufactured to PAS015 (1998 or 2011). (3) Riding Hats manufactured to ASTM F1163 2004a. (4) Riding Hats manufactured to SNELL E2001. (5) Riding Hats manufactured to VG1. Venue: Hailsham Community College, Battle Rd, Hailsham, East Sussex BN27 1DT. 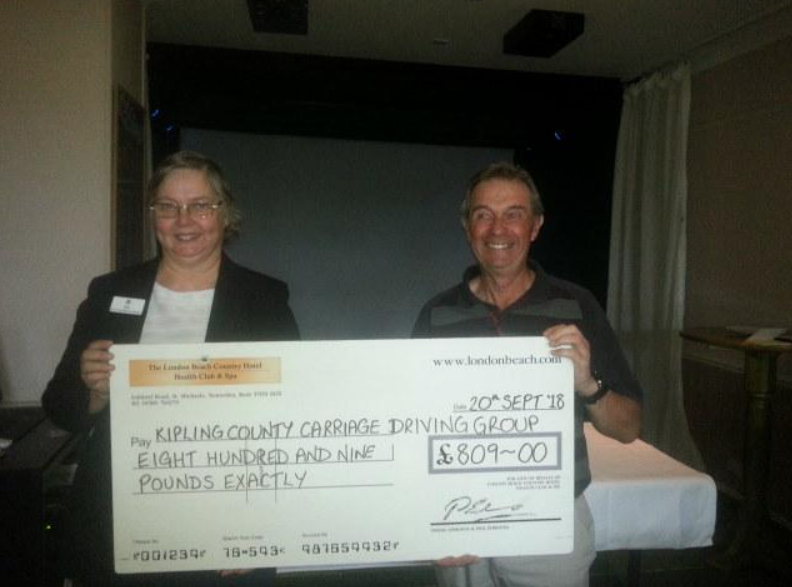 Kipling County Driving Group was fortunate to be chosen as this year’s charity by Hailsham Photographic Society. Ray Beckwith, their friendly club’s compere for the event, presented Annette with an incredibly generous cheque for £1000 which will make a huge difference to our club. Additionally, Annette (together with Kipling County members) ran a Grand National Sweepstake from a table at the back of the room. Photographic Club members who arrived a little too late to “Buy” a horse were kind enough to make personal donations, and for this generosity we are also very grateful. Annette is delighted to tell our Treasurer that the sweepstake and donations provided an additional £237 for our Group. The Hailsham Photographic Societies audio-visual presentation maintained it’s incredibly high standards with members producing breathtaking presentations ranging from the local Sussex Downs to Central Asia’s Samarkand, and all set to superb music. Bring & Buy Coffee & Cakes – Monday 4th January 2016. Our Treasurer is pleased to tell our members that he’s just banked £178.50 being the sum raised at our “Coffee and Cakes” morning at Annette’s house on Monday. This is a huge sum to have raised in just two hours and we are all indebted to Annette and Nick, and also to Annette’s sister Sandra for hosting this event in their home. Each year, our members provide a Newsletter. It’s all their own work and describes the huge amount of pleasure they obtain from our Group. The Newsletter is edited by Jay Bonner and printed by Janet Bettell-Higgins. Venue: The Bear Inn, High Street, Burwash, Etchingham TN19 7ET. Our Christmas Lunch was a great success, thanks to all the weeks of hard work by Jay Bonner. Perhaps you bought one of Elaine Horwood’s lovely hand made craftwork as a gift for a friend? The raffle prizes were drawn and awarded to much laughter, and our Annual Awards were presented to the successful carriage drivers. There were awards for novice drivers, intermediate drivers, open drivers, cones, and further awards for those that had contributed to driving in so many different ways. 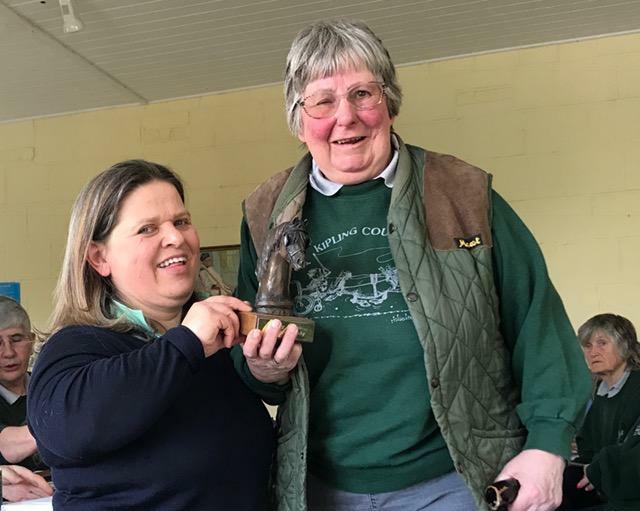 Two special presentations were made to Janet Bettell-Higgins and Val Eyres for the huge amount of work they both provide throughout the year with regard to ponies, stabling and transport, because our club couldn’t function as it does without their support. Our Treasurer tells us that the raffle raised £217 and Elaine’s crafts raised £108, which is a credit to everyone. As we all know, Janet Bettell-Higgins had a new hip fitted on 11th November 2015. We are delighted to tell everyone that the procedure was a complete success and that Janet is now well on the road to a full recovery again. She has already started taking very short walks, and kind Group members are helping her look after the ponies and their stabling. We all look forward to seeing her at our Christmas Lunch on 7th December and thanking her for all the hard work she does throughout the year on behalf of Kipling County Carriage Driving Group. Our Quiz Night was fantastic, with more contestants entering the competition than anticipated. Your Committee would like to thank all the members that helped in so many ways to make our fundraising event such a success. Although it seems unfair to single out any one person, especial thanks must go to Annette & Nick Thorburn for providing the excellent food and table decorations. It’s a little known fact that the white porcelain receptacles for the beautiful flower arrangements were Anette’s soup bowls from home! Our Treasurer is delighted to announce that our Group raised £846 net of expenses! Well done to everyone for providing a thrilling morning! 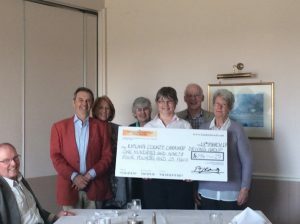 There is great news to report – that the charity golf day at Crowborough held raised nearly £2,000. This is much more than was expected and is almost equivalent to the record sum raised this time last year. 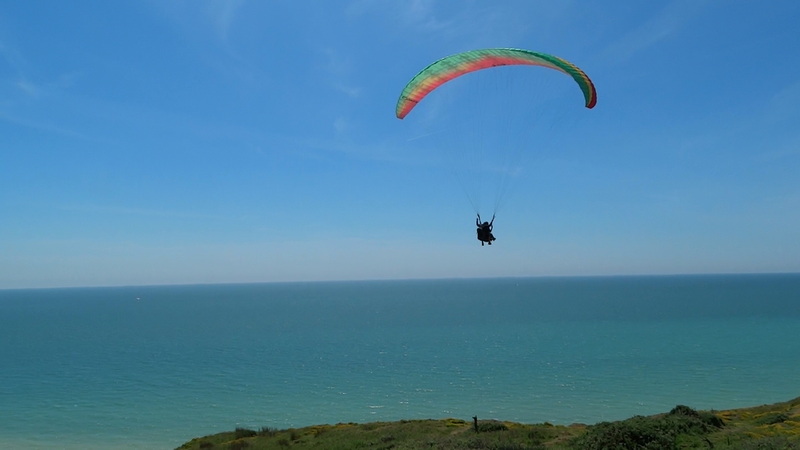 Daredevil Paraglide on Wednesday 24th June 2015. In 2015 Kipling County Carriage Driving Group formed a second driving morning! In that year it was held in the Bramdean area at 10.00am each Thursday morning. We are very keen to recruit new helpers. Please ask your friends to come along and help on Mondays! Come along and see what we do, enjoy a cup of tea or coffee, have a chat with with our helpers or disabled drivers, or simply telephone Janet Bettell-Higgins for further information. All Monday meetings are 10.00am for a 10.30am start, unless otherwise stated. Please also be aware that the official finish time for driving is 12.30pm and although clients may have left at that time, volunteers are asked if they would be good enough to stay on with a view to clearing up by 13.00pm. In brilliant sunshine we took two ponies and four of our drivers. Vicky drove Smokey in the Open Cones first before driving in the Assisted Driving Class, coming fourth in the cones and winning the Assisted class. Lee then drove Prince in the cones coming 2nd. before the Novice Class in which he came 2nd. Stephen, driving Smokey, entered in the Novice Class, coming 4th. in his first ever show. Well done Stephen. Jay then entered the Open Class driving Prince, being placed 3rd. and then drove the cones course coming 3rd again. Every one went home tired but happy having had a very successful day. The weather once again blessed us with the sun shining on our ponies and their drivers, when we went off to Heron’s Ghyll group at Whitemiths, to take part in their one day event. We had a very good and successful day. Joanne, in her first ever competition, came first in the novice class driving Alan, and Vicky, driving Smokey, came fourth. In the Intermediate class Josie was our only entry, and she came a very creditable fourth also driving Dennis. The Open class had Kipling’s largest entry. Beth won this class, also winning overall, driving the lovely little chestnut Prince. Linda, laughing all the way, came second driving Smokey, Lee, driving the dynamic Dennis, came fourth followed by Sally driving Alan coming fifth, and Jay, driving Prince, finishing in sixth place. Thanks to all our volunteers for all their hard work, as without their help, these events could not take place. The Oaks Driving Club Show – 18th August. It does not seem possible that each show Kipling has attended this season has been blessed with sunshine. There were two classes for disabled drivers, unassisted and assisted. Beth, driving Dennis, at his first showing show for a long time, came second and Jay driving Smokey came third, both in the unassisted class. In the assisted class, Vicky, who drives with a bar attached to her reins, won the class and received a lovely big silver cup. She was driving Smokey. Josie, driving Dennis received a third place. There was a novice and beginners class, so as we only had two ponies at the show, Lee and Joanne were entered in this class. Joanne was driving Smokey and came third and Lee had Smokey and was placed sixth. Everyone enjoyed the day and again, went home tired but happy. Carriages polished, harness cleaned and ponies shining, off we set in convoy to Farnham in West Sussex. Weather!!! Well, once again it was dry and warm for us, and most importantly, none of the awful fog we have had for the last few mornings. We arrived to meet the other groups from the region who our drivers were competing against. The day started with the novice drivers. Josie was driving Dennis with Val and Joanne, with Carole beside her, drove Alan. Then Stephen was driving in his first event. He drove Smokey with Val alongside him. They started with a dressage test and then into the other indoor school to drive a cones course. This is driving between orange cones with tennis balls on top which you must not knock off. The next class was the intermediate. Linda drove Smokey with Val and Lee was driving Alan with Carole, followed by the open class with Beth driving Dennis with Elaine and Sally drove Dennis again with Elaine. After they had all completed the dressage and cones course everyone enjoyed a picnic while the ponies enjoyed an apple and tucked into their haynets. Lunch time over, everyone climbed aboard their carriages and each went back into the school to drive the obstacles. Two for the novlce and intermediate and four for the open class. This was fast and was soon over and then everyone waited in anticipation for the results. And what results! Josie won the novice class with Joanne coming second and Stephen, in his first ever event, finishing in third position. This also ment that Josie and Joanne qualified for the National Championships held at Harpbury in Glouster next year. Lee won the intermediate class with Linda coming a highly respectable third. Then in the very strong open class, Sally was placed fourth and Beth placed seventh. Very well done to you all. All tired, everyone piled into their various modes of transport and went home very happy. Kipling County held an open afternoon at their driving field at Chalvington, and once again the weather was kind to us. The visitors were given demonstrations of dressage, cone driving and hazards, driven by some of the disabled driving members of the group accompanied by their companion whips. The visitors enjoyed tea and a wonderful variety of homemade cakes, and watched the drivers and their ponies driving around the field. It was set out with two dressage arenas, a cones course and two obstacles. Tea was served in the marque. Afterwards, the marquee was purchased by one of our volunteers, Mr. Peter Clark and his daughter Linda (who is one of our drivers), and presented to Kipling County as a wonderful gift. A very big thank you to them both. This will replace our other marque which, after waiting until the end of our last open day, decided to take off across the field when a strong gust of wind uprooted it. A lovely day was had by all those attending and three of those visitors decided to join our band of volunteers helping on monday mornings. Joanne, Lee and Janet entered this competition. Joanne and Lee drove in the Beginners class, where Lee driving Blue came 2nd, and Joanne driving Dennis came 3rd. An excellent result as this was the first non RDA competition for them both. Janet competed with Crumble whose first event this was, in fact he had not seen obstacles before. His behavior was exemplary and resulted in a 4th rosette, showing much promise for the future. With three ponies and just one carriage several quick changes were necessary. The helpers came up trumps and everyone had a thoroughly enjoyable day.